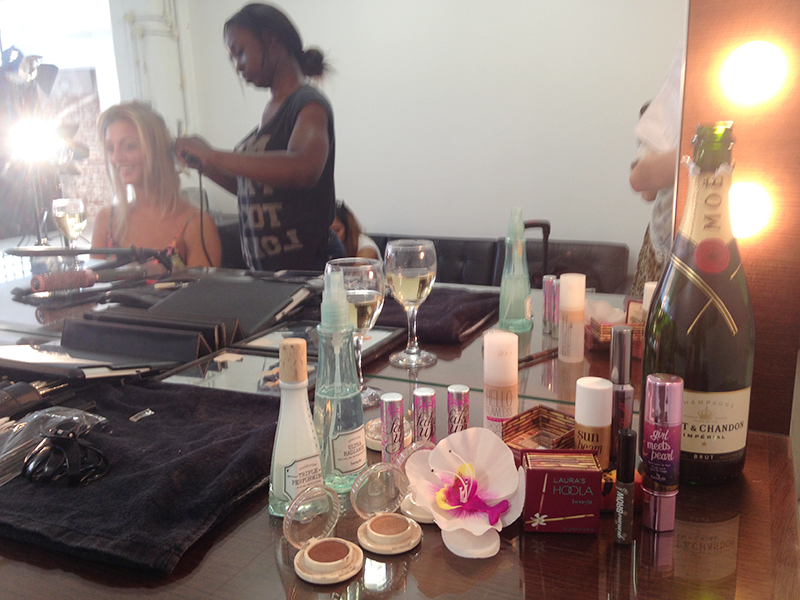 The month of May revolved around all things hoola for us at Benefit. We made quite the splash giving away personalised hoola bronzers to competition winners throughout the month, but the fun didn’t end there… There was also a grand prize to win the complete hoola experience and be the star of your very own iconic hoola power visual, sounds amazing right? Well now it’s time to meet the winner and see how everything went, and of course, see the final photo! First thing’s first, why do you love hoola? hoola is my all-time makeup favourite because of its matte quality with no shimmer nonsense that highlights those pores. It gives a natural bronzed sheen and makes you look as if you have just stepped off the plane whereas in reality you haven’t been on holiday for months! It’s a great contouring product too! Apart from hoola, what is your favourite benefit product? Oh this is a hard one! I think it has to be gimme brow or high beam! gimme brow is amazing for that natural looking brow but adds enough definition to shape the face, whereas high beam is the perfect highlighter for a dewy fresh faced look. How was your experience of the shoot? It was day I’ll never forget! It felt like a dream and I didn’t want it to end. When I got home I just wanted to relive it over and over. Everyone was so lovely and made me and my boyfriend Adam feel very welcomed with glasses of champagne and the most delicious cupcakes. The fabulous hair and makeup made me feel a million dollars! Where will you be popping the your winning photo? Well it’ll certainly be knocking the graduation picture off the wall and taking center stage in my house! She’s a lovely gal isn’t she? You can find more on her winning experience HERE. But now here’s the moment you’ve all been waiting for, the final visual! What do you think? She’s a natural that’s for sure, even better than the original we’d say! We hope you enjoyed hearing about all things hoola, what do you think of our amazing matte bronzer? Don’t forget to wink and wear it!